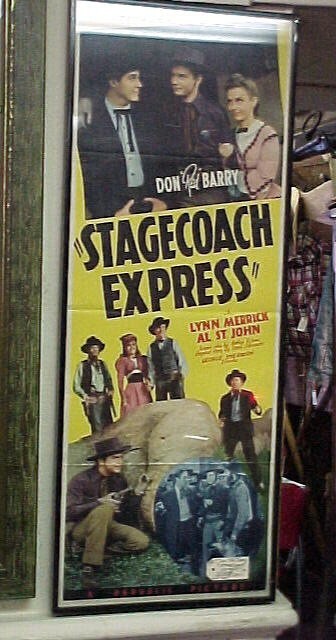 1950 Original Poster of the "Stagecoach Express"
1950 Original Movie Poster "StageCoach Express" starring Don "Red" Barry. Great decor for western room or cabin Or Home Theater. 1950 Original Movie Poster "StageCoach Express" starring Don "Red" Barry. Great decor for western room or cabin Or Home Theater. Please email cowboycabin@centurytel.net with questions or call 406 270-2842.